Sombra y Luz is the second part of the 'Una historia' compilation of this legendary 70's Andaluz rock band. It is an album full of seduction, folklor, rhythm and a lot of Triana-style progressive Andaluz-rock. 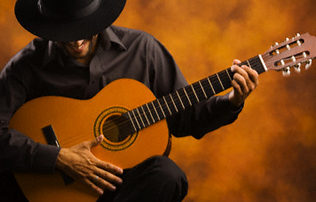 In addition, 'Sombra y Luz' puts an exclamation point on the first third part of this band's life. After this album they change producers, cover designer and guitar player, given their music an abrupt change. 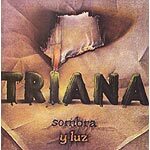 Triana did not dissapoint with their third album, which was very succesful. The production polished up the guitars, keyboards, percussion and Jesús de la Rosa's voicals, which was probably at its best. The album had a subtle mellancoly, which made some think the band's muse was on its way out.